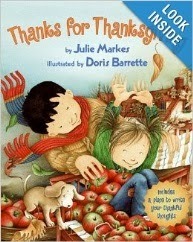 Read: “Thanks for Thanksgiving” Julie Markes and Doris Barrette. Thanksgiving is a time to be thankful for small things, and family togetherness. Activity: In circle time get out a large piece of paper and post it for the children to see. Explain what it means to be thankful, and have the children tell you what they are thankful for. Write their ideas on the posted paper. When finished, teach children the rhyme posted below. Materials needed: Construction paper, 3 sheets of white paper, crayons, magazines or pictures, glue, scissors, picture of the child. 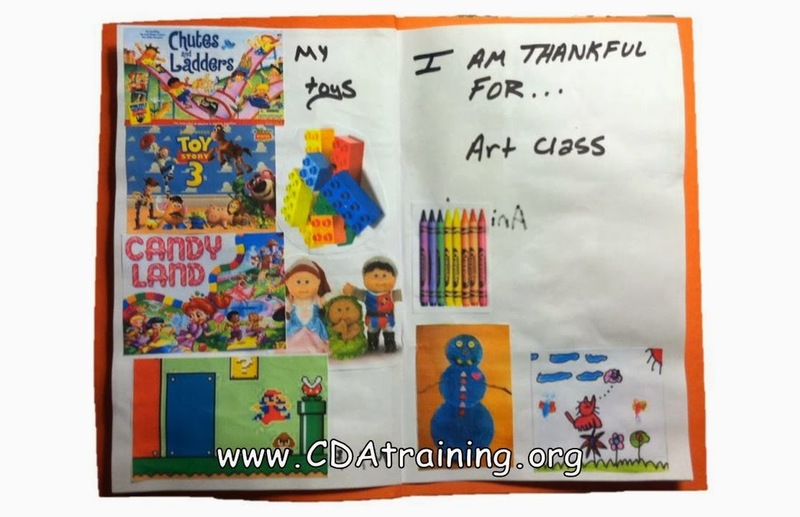 Directions: Instruct the children to paste their photo to the cover of the "I'm Thankful For" book. Let the children decorate their thankful book with pictures of things that they are thankful for.